I don’t think we had any idea how our lives would change when, seven years ago today, my water broke and we brought our little man into the world. He was several weeks early, clearly eager to join our family and get started. And after a bit of a rough start, we were able to bring him home, introduce him to his pugs, and begin as a family of six (if you count the fur babies, which we do). I can’t believe how much he’s grown since then. We will share more details from his big day later, but we did have a very small celebration on Sunday. 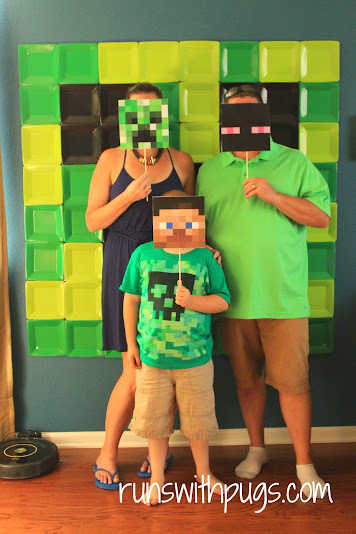 His current favorite thing is Minecraft, so I was able to use some free printables and Etsy finds for decorating. This morning, he requested a donut with a candle in it, so we took him and his carpool buddy to Dunkin Donuts, and then tonight, he wants “cereal bar” at home (this is when he gets to top his regular, “healthy” cereal with things like Lucky Charms and Froot Loops. And fruit). He has been so incredibly low-key and sweet about everything, and I am so excited to see his reaction when he gets his big surprise gift. Happy birthday to our little man. We love you to the moon and back. How do you like to celebrate birthdays? Are you a cereal person? Thank you! He had a great day! Happy Happy Birthday to him! Happy Happy Birthday Little Man! Hope his day has been amazing! I’m with you. I like cereal, but only the boring kinds. I tried a piece of Cap’n Crunch and I immediately wanted to brush my teeth. Sundae Bar? Yes, please! HAPPY BIRTHDAY to the little man! I remember thinking (correctly) that 7 was the coolest age ever! Also, can he please plan my next birthday… All ofbhis requests sound awesome haha! I LOVED Cinnamon Toast Crunch before going GF. I could accidentally snack on a whole box while watching TV. Oh, he loves that one, too. I just can’t handle “fun” cereal. I am so boring LOL! 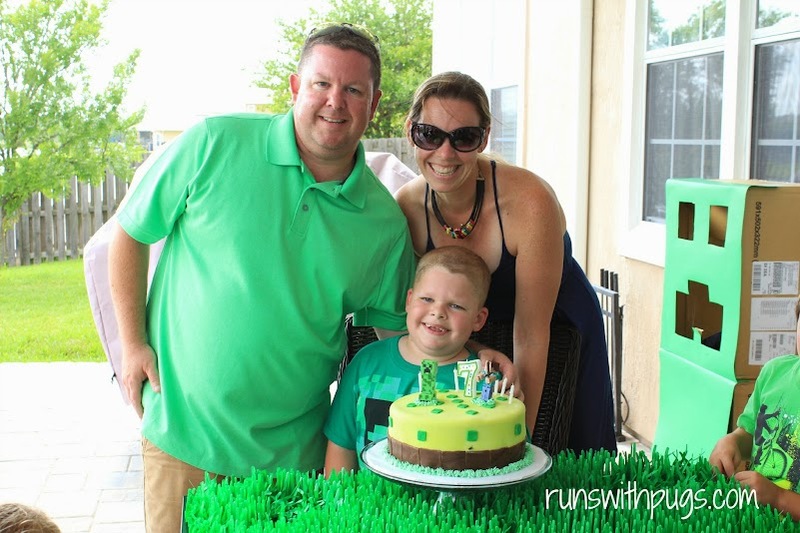 Happy 7th to your little man! It’s such a great age. He’s a very lucky little boy to have two doting parents! It really is a great age. He challenges us every day, but it’s a good thing. We are so in love with him. He saw it at another birthday party and loved it so much. Another great Pinterest find. Mary Beth Jackson recently posted…April #FabulousFitGear Swap reveal! Little man LOVES restaurants so I was stunned that he wanted to dine in. Oh, well. What do I know? I’m just the mom. I don’t understand how he is seven already. Didn’t I just come visit y’all in the hospital last week?! My boys used to play minecraft when it first came out. I’m amazed at how the whole thing has exploded with kids! I know! It’s crazy! I mean, it seems to be great for creativity and logic and all that, but could it be any uglier and displeasing to the eye?